A project that has been started and requires finishing. 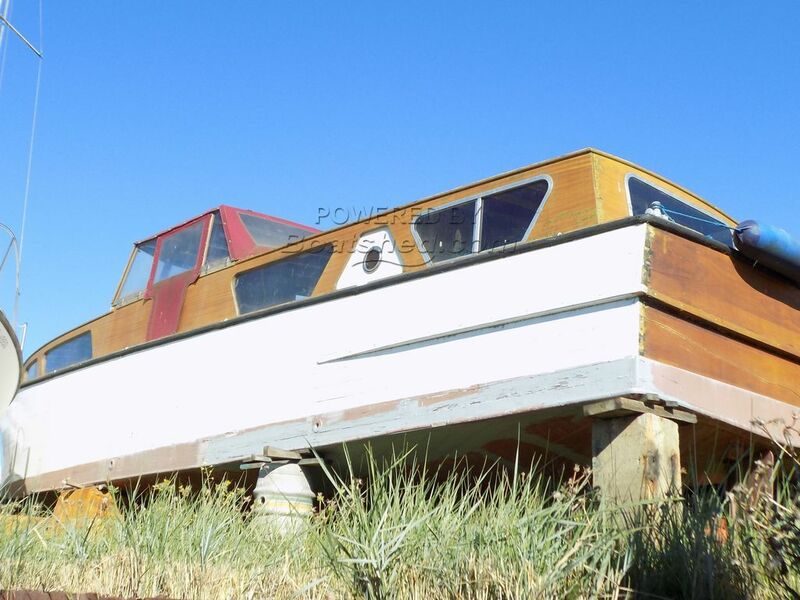 The current owners have replaced some of the electric wiring and the hull ribs, also some of the hull plankings have been replaced. The electrics and plumbing have been replaced in 2005. The gearbox was also completely overhauled in 2005. £35,000 plus spent on the boat over the past ten years. Almost all work done by the IBTC commercial wing. Frames, planks, deck, cabin sides and roof etc. A classic early Broads Cruiser that should offer all the pleasure it used to with a blank canvass as to the design of the interior! This Broads Cruiser Type has been personally photographed and viewed by Geoff Jaquest of Boatshed Suffolk. Click here for contact details.